It takes a whole community to save a life. LifeSouth is a non-profit, community blood center operating 12 regional centers in Alabama, Florida and Georgia and providing a volunteer blood supply for more than 90 medical facilities in these three states. 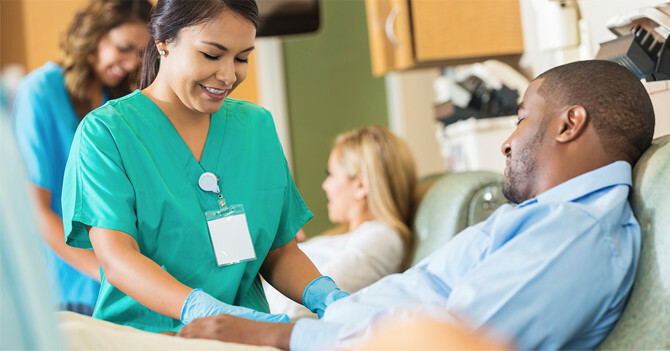 At the request of 15 hospitals in North Alabama, including Marshall Medical Centers, LifeSouth Community Blood Centers has begun collecting and supplying blood in our community. LifeSouth opened a main processing center in Huntsville and has established blood donation centers in Albertville, Decatur, Florence, Cullman, and Sheffield. Blood donated through LifeSouth is processed into different blood components and stored at the Huntsville site, allowing LifeSouth to respond quickly to requests for blood from our hospitals. In emergency situations, LifeSouth's local operations will make a positive difference for local patients. The blood that LifeSouth collects in our community will stay in our community to meet local needs. Only if local needs are met will LifeSouth share North Alabama's blood supplies with other LifeSouth regions or other blood centers in the United States who may be in short supply. LifeSouth's operations will reduce the likelihood of shortages during emergencies and holiday periods. Please support LifeSouth, Marshall Medical Centers and North Alabama's blood supply by becoming a blood donor and encouraging others to give blood. LifeSouth representatives are available to speak to your social or civic club, church or other organization about sponsoring a blood drive. Call (256) 533-8201 for information. LifeSouth representatives are available to speak to your social or civic club, church or other organization about sponsoring a blood drive.